Ardgillan Castle is twenty miles north of Dublin, on the coast between Balbriggan and Skerries. The castle is one of Dublin's Regional Parks and is situated on 194 acres of rolling woodland and hills. You will enjoy the beautiful views of islands and mountains from the castle grounds. The park overlooks the Bay of Drogheda, the Cooley and Mourne Mountains, Rockabill Lighthouse, and the Shenick and Lamby Islands. 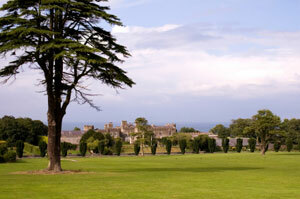 The extensive gardens and a Victorian conservatory are also part of your tour at Ardgillan Castle. After your tour of the castle and grounds, you might want to stroll along part of the five miles of walking paths through the park and then relax with a light snack or desert in the Tea Rooms. The castle is actually a two-story house built in 1737. In the early 19th century, the house was "castellated," in other words, made to look like a castle. An octagonal tower was added; battlements and pointed arches were added to the windows. The original owner of the castle was Robert Taylor. 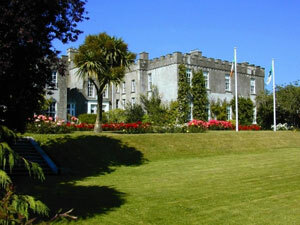 Ardgillan stayed in the Taylor family for more than two hundred years until Heinrick Pott, of Germany, bought the estate. Dublin County purchased the property in 1982 and Fingal Council now manages it. The first floor of the castle is restored in the Victorian/Georgian style and houses a library, dining room, and morning room. The former bedrooms upstairs are now used for classes and exhibitions including a display of the "Down Survey" which was done in the 1600s to show land ownership at the time. A Victorian conservatory has a dome containing ornamental plants and additions with fruits and vegetables. Outside, there is a formal garden to the west and a walled garden to the northwest. An extensive collection of roses has been planted in the formal garden. The walled garden contains a herb garden and a vegetable garden. An Irish garden collects a number of native plants. Ardgillan Castle is also believed to be haunted! You can look for the ghost of a woman at "The Lady's Stairs" railway bridge, found at the end of the garden. In recent years, the castle estate has been the venue for a number of outdoor concerts. Bands such as REM, Meat Loaf, and Moby have played for audiences who enjoy the getaway from the City. Take some time to explore Ardgillan and its many offerings. Enjoy your trip! 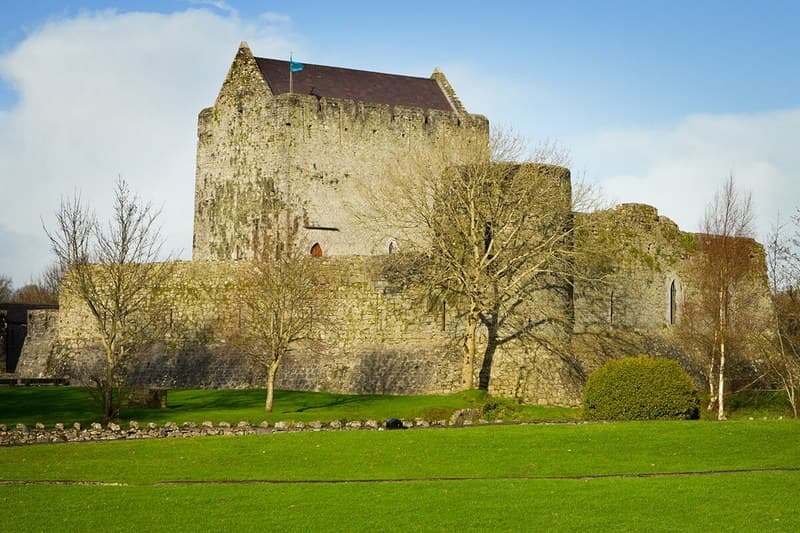 To get to Ardgillan Castle, go north on the M1 from Dublin to Balbriggan and follow the signs from Balbriggan. For a more scenic path, you may want to go north and take R127 to Lusk and Skerries and then go along the coast north to Ardgillan near Balbriggan. Check the map or ask for directions. For information on opening times, see the Fingal Parks website.